The Sylvester & Tweety Mysteries, produced by Warner Bros. Animation, is an animated television series which aired from 1995 to 2001 on Kids' WB and was later re-run on Cartoon Network. 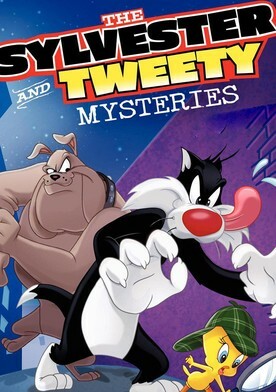 It follows Looney Tunes characters Sylvester and Tweety Bird, and their owner Granny, along with bulldog Hector, as they solved mysteries, even with Sylvester still trying to eat Tweety in the middle of solving the mysteries, but Hector acted as a bodyguard for Tweety, and would even beat Sylvester up. The first season was dedicated to the memory of Friz Freleng, who had died only months before the series premiere. 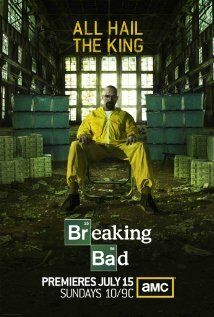 Also, it contains one case per episode, in contrast to the other seasons, which are all with two cases. Other Looney Tunes characters make cameo appearances, including Daffy Duck, Yosemite Sam, Elmer Fudd, Tasmanian Devil, Pepe Le Pew, Beaky Buzzard, Babbit and Catstello, Hubie and Bertie, Witch Hazel, Michigan J. Frog, Rocky and Mugsy, Marvin the Martian, Hippety Hopper, Gossamer, Count Blood Count, Cecil Turtle, Nasty Canasta, The Crusher, Pete Puma, Goofy Gophers, and latter-day Warner cartoon star Cool Cat who appears in some form in most of the episodes.